Samantha Gregory is a practicing patent attorney who has a particular interest in the development of intellectual property rights in South Africa and the relevant legislation. 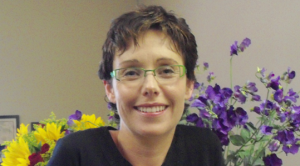 She heads up her own firm, Dr Samantha Gregory Attorneys – a specialist Pretoria based firm that deals with intellectual property rights and related matters. Samantha has also been and is involved in litigation with regulatory bodies and currently heads-up an advisory board entrusted with the task of drafting revised guidelines and treatment protocols for publication by the Minister of Health. She has conducted research on the subject of TRIPS compliance within the SACU member states and has been invited by the WTO to present subject matter on the effect of trade policy, intellectual property rights and the access to medicines and health care. She has also researched and published literature in respect of technology transfer against the background of the Kyoto Protocol.